i can’t think of a better place to be for july 4th. and of all the time i’ve spent in telluride, i’ve only experienced the 4th once… and it was 11 years ago when my friend john and i lived there. so john invited us back this year to relive all the glory that is independence day in telluride! so here are some landscapes i shot during the week leading up to the celebration…. Beautiful landscapes. I love the ones at dusk and with the star trails. STUNNING. Thank you so much for sharing your work. very nice photo. nice place. Love the stars in the sky. OK, so I now know where I’m going to be spending next July 4th…SPECTACULAR! Beautiful photos! Reminds me of the Scottish Highlands, and makes me miss those mountains and want to visit Colorado. Spectacular stuff, congrats on being pressed. Hope to go there some day! Spectacular pictures!!! I hold my breath by the beauty. Great job. Simply Gorgeous Photos. Congrats on being FP! 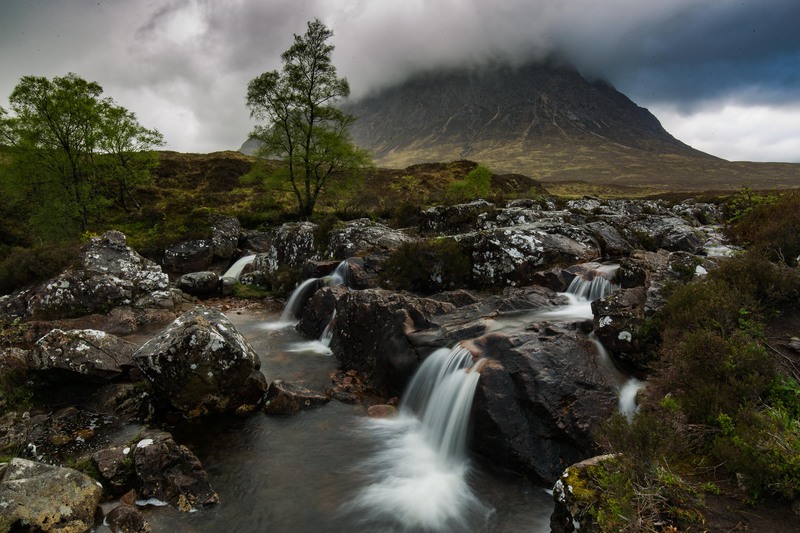 great landscapes, really like the first waterfall one. thanks everyone!! it is such an amazing place… i kind of feel as though it would be tough to take a bad photo in telluride :) it is an honor to be fp again!!! thanks wordpress! Great work–especially the 6th pic. Stunning! Breathtaking, stunning and aksjdkjawjdawkdpoak ! The landscapes take my breathe away. Love the night shots, stunning! Also the light coming through in the 6th photo is beautiful. The pictures are so beautiful thank you. those pictures are amazing ! These are beautiful! One day I hope to be as good at photography as you are! your photos are amazing! you have captured telluride county and its beauty with perfection. thank you for sharing! photos are amazing! i must admitt, i didn’t know anything about telluride until recently. a singer i follow was playing there, and i considered flying to colorado to see the show and maybe doing some fun recreational things…now i’m sad i didn’t go! i’ll plan to make a trip very soon. oh, you have to go… especially to hear music if they are playing the Sheridan Opera house!!! it’s fantastic… saw blind pilot there a few summers ago and it was unforgettable. My husband and I were in Telluride over the weekend. I am mesmerized by the story of the house atop Bridal Veil Falls. We hiked the Bear Creek trail to see the falls there. Spectacular pictures my fellow blogger. Much better than mine. thank you Patty! yeah, there are so many amazing stories and painfully beautiful hikes around telluride. i hope you and your husband have the chance to go again and explore even more!! I think you and my husband, Kevin, are kindred spirits. Both amazingly talented photographers with a love of mountains. Beautiful work! You even chose the same WordPress skin. Eerie. His is http://www.tanagerphotoblog.com. wow, you weren’t kidding… i just checked out his blog (which, by the way, is great!) and i think you’re right. we would definitely be friends! tell him to keep up the god work… his passion is evident! thanks for dropping by, and for the kind words… cheers! One small technical question about the star trail photos. They are the product of a single long exposure or the composite of several shorter exposures? great question… they are long exposures… anywhere from 20min to an hour in length. Such beautiful, vivid pictures. Thanks for sharing! I will be in CO for a visit at the end of this week and can’t wait! Such a beautiful state! You’ve captured some great images! Nicely done. Especially the waterfall and the long exposure night shots. Lovely! Gorgeous photos! Makes me miss Colorado a lot. I especially like the ones of the lake (#3 and #4). Wow! The scenery is breathtaking. I especially like the pictures of the stars – I’m in a city, so I don’t get to see that too often. I live in the mountains in Estes Park, also beautiful. We do the fireworks over a lake. My photos aren’t nearly as good as yours though. Great shots. haha, well thanks. yeah, CO in general seems to do a great job every year with fireworks. even a little town like lake city has a great display! Wow. I absolutely love the 4th photo. The light is just spectacular. Thank you for sharing!! You have a talent. Beautiful pictures of one of the most magical places on Earth! Really nice shots you have there. There is so much beauty in the world isn’t there? I just hope mankind doesn’t destroy it all. Wow – these pictures are amazing!!! Great job! Colorado! A very picturesque place. Very nice shots and congrats on being FP! Wow. These are beautiful pictures, I had no idea Telluride was so beautiful! I live in the Springs, and love it! Check it out! Thanks for a great post! Wow… This is so beautiful… I’ve never seen anything quite like it! Thanks for sharing these stunning images. Wow!! It is amazing, are the pictures true?! They are too beautiful!! The nature is always full with suprise for human!! haha, yes! the pictures are true!! thanks for the kind words… nature truly is full of wonderful surprises. Now I would wanna plan to go take a visit there this coming Fall. looks like an amazing place. Some great shots. Thank you for sharing your photos! They’re lovely! Very good, my favourite is the first one with the mist. wow this is really great shot…….. I love the photo numbur 4 and the Number 6 with the water fall ! It is beautiful, thank you for sharing such beauty. Beautiful. Congrats on being FP’d! You truly have great talent, my friend. Congrats on being freshly pressed! I know nothing about photography but I’m curious if those star pictures were taken with a different kind of setting or something. They look fantastic! What delightful photos! I really feel like I could step into them and be somewhere far more scenic than my little work space. thanks for sharing them and brightening my day! Photos are great! Congrats on Freshly Pressed, you earned it! Hello. I just picked someone on Fresh Pressed. I am so glad! These pictures are wonderful, beautiful, and something I will never be able to see on my own. Very nice work. Thank you. From an artist’s eye, this is wonderful! I would love to paint a waterfall in this type setting. Wow. You have. very nice pics.. keep up the good work.. You took every detailed of the amazing landscape. I suggest you should try Momentum Photography. Congrats and what’s your camera.? thanks! i shoot with a 5d mkii, and love it. Awesome pics! I see nothing but the majesty of God! Thank You. i totally agree! and thank you for the kind words. Oh wow, the clouds in the first 2 photos look so grand! Is this our very own world? These pictures made me miss my mother a little. She was raised at the Alta Mines above Telluride (my grandfather ran the mines). There are great views from up on top of the mountain – much like what you have here. I miss seeing the mountains (I was raised in Gunnison). Since I married a flat-lander (Omaha, Nebraska) – I try to visit ‘home’ whenever I can. Thanks for bringing a little bit of ‘home’ to me! Congrats on being FP. Such beautiful shots. Colorado is on my list of places I’d love to live, if only for the scenery. Wow. That waterfall shot is just incredible. Great job capturing the light, the mist, and the way they come together. I love to take landscape shoots, these are absolutely phenomenal. Especially the ones of the shooting stars, how do you manage to obtain so main views, comments, and likes? It blows my mind how a picture does so much more than just capture a moment in time. Your camera is like an author the way these pictures tell stories. Two shots in particular really demmanded my attention. The night shot of the mountains, that picture is art. I also enjoyed the photo of the tree under the waterfall, with the beams of light trespassing from the left and the mist fogging the background. beautiful … simply beautiful … no words. the atmosphere of the pictures is amazing! Awesome pictures of one of my favorite places on Earth! July 4, 1979, my first experience of Telluride. Beautiful pictures! Keep up the good work! Wow, really nice night pictures !! Wow that looks amazing. I need to get out there some day! Beautiful! We are in Utah and your pictures remind me of Utah! It looks like it was very pretty! I have a family member out there but never have been out myself. stunning and beautifully captured photots. Love your pics! We are wanting to head to Colorado yet this summer ~to get out of the heat & take some pics too. wow, how beautiful it is ,I hope I can have a chance to see it by myself. very inspiring photos… two thumbs up! The photos are beyond question breathtaking! can’t help but to love Colorado. I am glad to see my home state featured on WordPress in such a stunning display of pictures. Bravo on being Freshly Pressed! I love your shots of the waterfalls. Amazing perspective and composition. Love mountain, forests…… I feel deep respect for the power of nature and by myself trying to be closer and closer… It’s so difficult in these times… But :) If you don’t even try, you don’t feel the difference of beeing here or there. Welcome to Poland! Here are many virgine places with natural intensity! Oh, wow! Magical!! And made me homesick! I used to live in Colorado… such a beautiful part of the country… I used to drive from Denver to Aspen every fall- just looking at the foliage- the colors!! The pic- 4th from bottom… so beautiful- looks like fairyland! BEAUTIFUL photos! Telleuride is one of my favorite places. Unlike most visitors to this area (who come to ski) I love the spring and summer there. Thank you for really capturing the landscape’s beauty! Oh how I long to travel to Colorado. Maybe it’s because of my nostalgic associations with John Denver, or the constant comparisons of Boulder to Eugene. I prefer to think it’s the splendor of the landscape and the endless opportunities for hiking. Thank you for sharing these pictures. I LOVE the sixth photo! It perfectly expresses my wonder and amazement and joy in nature. And the beauty of it all. Amazing! I am from Colorado and you can’t get it quite like this anywhere else. Anyone I know that comes to Colorado for the first time, never wants leave. Would you believe I said “OH WOW” out loud while reading this post! The pic of the waterfall with the beams of light piercing through the mist is simply stunning! So happy to have found this today. Beautiful photos.